The top ranked eSports betting site X-Bet has just improved the experience for bettors who appreciate following the competitive video gaming scene. As you may or may not already know, this operator has been running an eSports blog on X-Bet.info since the beginning of 2019. This blog is covering anything from the latest happenings in the professional eSports world to articles about game updates, exciting matches that came down to the wire and upcoming tournaments. Their latest addition to this blog is a handy app that can be downloaded to any android device (you can do so by clicking here). With this application you’ll receive real-time updates on match results, rooster changes and forthcoming encounters between teams. It has a very user friendly interface and comes with a neat read later feature, as well as a push notification option that allows you to be instantly notified about the latest happenings. The journalists behind the news updates are a team of professional writers who are passionate about the competitive gaming industry and who are specialized in the most popular video games online. This includes, but is not limited to Dota 2, CS:GO, League of Legends, Artifact and PUBG. 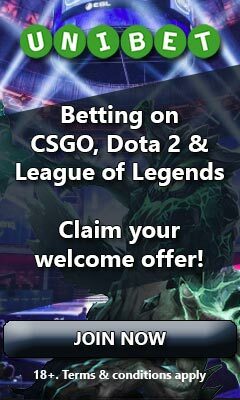 Esportsbetting – Competition with gaming gear!